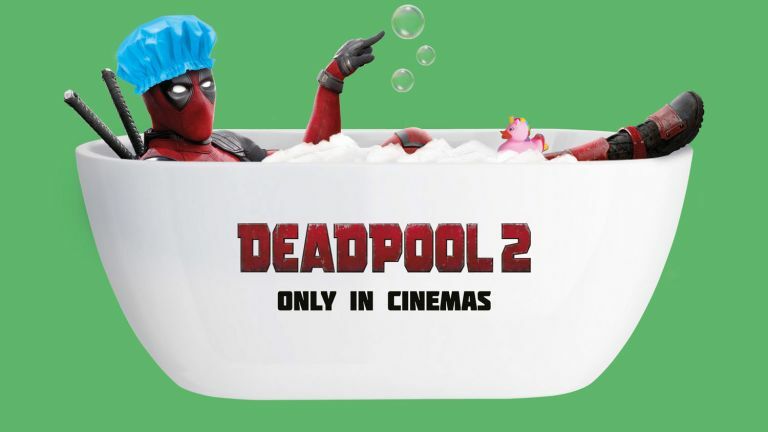 Potty-mouthed superhero Deadpool is pushing Victorian Plumbing’s bath suites in what must be one of the adland’s most unusual marketing match ups. With the merc with a mouth due to hit cinema screens in Deadpool 2 on May 15, 20th Century Fox reached out to the brand to see if they’d be interested in a partnership. The result sees posters of the x-rated X-Man (sort of) reclining in a tub full of bubbles and proclaiming, ‘I like big baths and I cannot lie’, and standing in front of a sleek white bathroom with the tagline ‘I’ve got a suite behind’. They haven’t received word from actor Ryan Reynolds on what he thinks of plugging their products, but they’re hopeful he laughed (like a drain) and might be open to further collaboration.